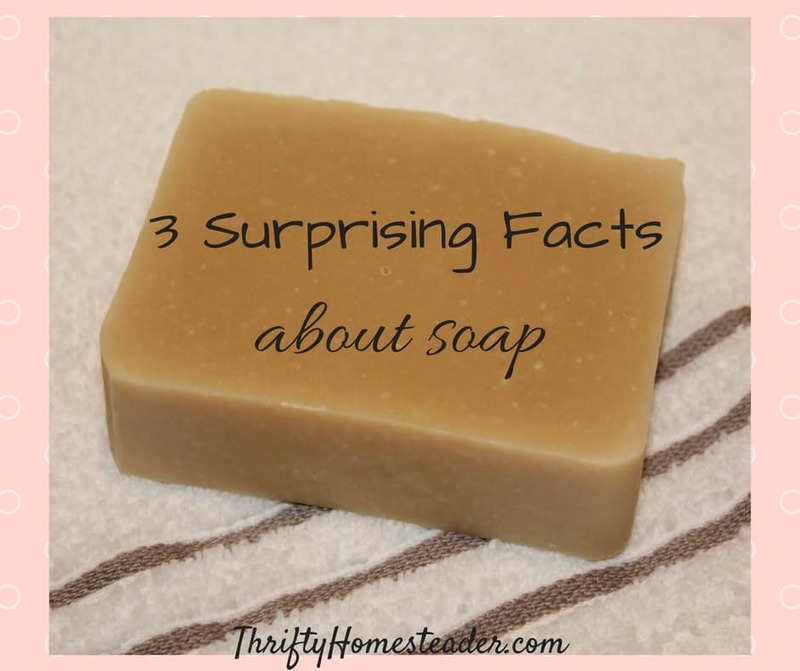 Because I make my own soap and teach soapmaking classes, I clear up a lot of misconceptions about soap. Through the years, there are three ideas that keep coming back again and again. 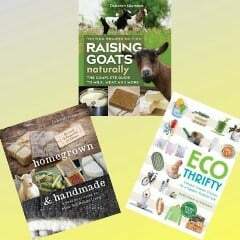 Can you teach me to make soap without lye? In a word — no! No one can. You cannot make soap without lye. Soap is by definition saponified oils, and the way to saponify oils is by using lye in the form of either sodium hydroxide or potassium hydroxide. Sodium hydroxide is used to make bar soap, and potassium hydroxide is used to make liquid soap. If you’ve seen someone say they make soap without lye, they are not really making soap. They are doing melt-n-pour. They are buying a loaf of soap that was made by someone else who used lye, and they are simply melting down the soap, adding fragrance and/or color, then pouring it into molds to harden. When you see the phrase “sodium cocoate” on a soap label, that means that coconut oil was saponified with sodium hydroxide. Sodium palmate means palm oil was saponified with sodium hydroxide, and so on. If someone simply puts “saponified oils of …” on the ingredient list, that means they used lye to saponify the oils. This does not mean, however, that there is lye in the finished soap. If the soapmaker is using a digital scale and doing it correctly, there should be zero active lye in the soap. There should be an excess of oil so that the soap is superfatted, which makes it more gentle on the skin. Back in the old days before the invention of digital scales when everyone was making lye from ashes in the fireplace, it was easy to wind up with too much lye in the soap, which is why “lye soap” had a bad reputation. Most “soap” in the store is not really soap. Most of the bars in the store are actually detergents, which strip your skin of all its natural oils. Have you ever seen the ad that says their cleansing bar doesn’t leave a film on your skin like soap does? That’s a detergent bar. And that “film” that soap leaves on your skin are natural oils, and that is a good thing. It’s like cleaning and moisturizing in one step. What’s in store-bought cleansing bars? Chemicals such as sodium lauryl sulfate, which are surfactants. They are also filled with other artificial ingredients, such as fragrance, which often include carcinogenic and endocrine disrupting chemicals. I want to make liquid soap because bar soap dries out my skin too much. If the so-called soap in the store dries out your skin, that’s because it’s probably not soap. (See above point.) But if it is real soap … many of the less expensive natural soaps use a large percentage of coconut and palm oil because they are cheap. (Yes, if you buy coconut oil in 5-gallon buckets, it’s really cheap.) In fact some of them are 100 percent coconut and palm. Although those oils clean well, they also tend to be more drying. My main soap recipe uses 54% olive oil, and I have many customers who have been coming back year after year because my soap does not dry out their skin like other soaps. The only difference between liquid and bar soap is the type of lye used — sodium hydroxide or potassium hydroxide. Beyond that, you can use any combination of oils that you want, and it’s the combination of oils that determines whether a soap is moisturizing or astringent. For example, if you have dry skin, you should use more olive oil, whereas if you have oily skin, you should use more coconut and palm oils. If you want to learn to make your own soap, I have an online soapmaking class that includes videos, checklists, and other print outs that take you through the process step by step. Although it includes recipes, it also includes instructions in how to make your own recipes, so you can create a soap that best meets your needs. I sell soaps at Farmers’ markets, and I could suspect you of listening in to me telling my costumers about “soap” and soap. Only you haven’t. As I live in Denmark, and naturally keep my exhortations in Danish 🙂 I’ll link to this page on my soaping how-to, that’ll save me translating all I’ve written into English. Well said, keep up the good work! How interesting that you get the same questions and comments in Denmark! Thanks for sharing! 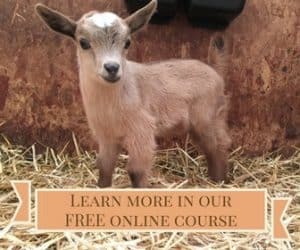 I too sell goat’s milk soap at farmer’s market and YEP, I get all these questions and more…I sometimes want to get a bullhorn and step up on my soapbox (pun intended) to expound on the lye in soap “issue.” ….Sharing this to my farm page!